Hang on to your meatballs, Burlington — there's another pizzeria coming to town. When Pizzeria Ida opens early this fall behind Pho Hong at 662 Riverside Avenue, it'll deliver a taste of southern Italy to the Old North End. The standard daily menu will include just three items: crisp, thin-crust Neapolitan pizzas, calzones and bready, Sicilian-style pies. Pizza three ways, if you will. Small plates such as meatballs and chicken cutlets will rotate on and off as specials. "There is nothing pretentious at all about this place," said Dan Pizzutillo, who is opening the restaurant with his partner, Erika Strand. "We just like high-quality, simple stuff." Accordingly, the pizzeria will rely heavily on imported Italian ingredients: tomatoes and herbs grown on small biodynamic farms in Italy and imported by a friend in the Bronx. "These people are just like the [farmers] here," Pizzutillo said. "They're small farms doing great work; they're just in Italy." 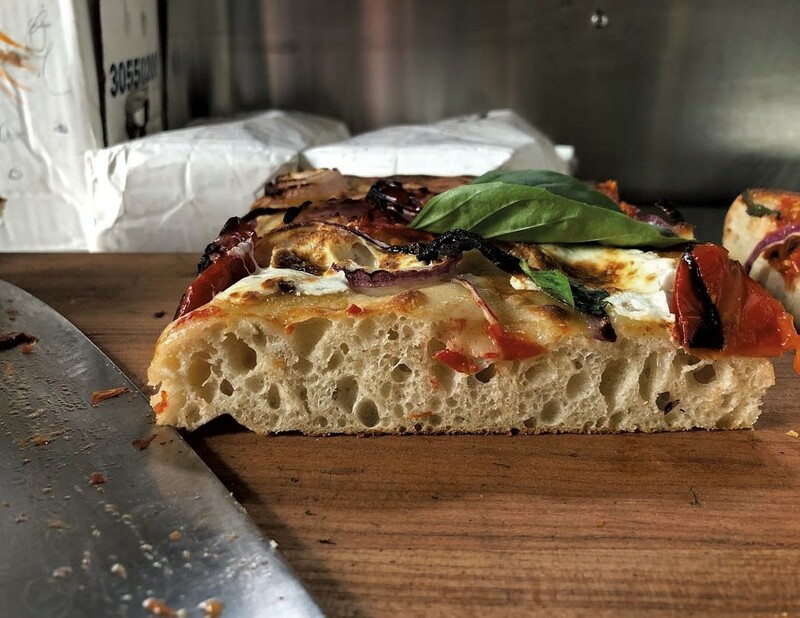 Ida's dough will be mixed from several different flours — Pizzutillo and Strand are still working on their formulas — and naturally leavened with sourdough culture. Like many new restaurants, Ida will offer a pared-back service model: Guests order and pay at the register, and a server delivers their meal. While the shop will offer sodas and juices, alcohol will be a BYOB affair. "This is not a bar-restaurant," Pizzutillo said. "It's a family place." The shop is named for his grandmother, Ida, who emigrated from Italy via Ellis Island almost a century ago. "I remember her making meatballs, pizzas, cookies coated in honey," Pizzutillo said. "Things you've never even heard of!" Seating will be open, with scattered stools and high-tops for sitting and lots of counters for people who want to stand, eat and socialize. Pizzutillo said he hopes locals will embrace the casual layout. While somewhat unusual locally, it's more common in his native Philadelphia, where both he and Strand have cooked in restaurants — from casual to high-end — for the past decade. "We hope we can provide an experience that's something different than what's already up here," Pizzutillo said. When Pizzeria Ida opens, it'll welcome guests for dinner Wednesday through Saturday, from 5 p.m. until the kitchen runs out of crusts. Pizzeria Ida isn't the only new thing cooking in the Old North End. Around the corner, a sign on the wall of 296 North Winooski Avenue declares, "Coming Soon Moroccan Restaurant." Little Morocco Café owner Abdelali Amran did not return calls for comment before press time. But a friend of his who was doing construction work inside the space last week said visitors can expect authentic Moroccan food — "not Americanized at all" — and that the plan is to open by early fall. The original print version of this article was headlined "Two in ONE"